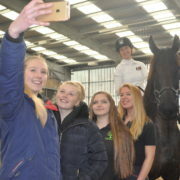 Reaseheath’s equine department hosted a free public event last week at its Equestrian Centre as part of National Anti-Bullying Week. 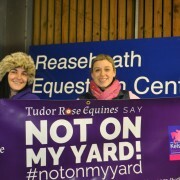 The event was aimed at raising awareness about the #NotOnMyYard campaign – an equine-specific anti-bullying initiative launched earlier this year by Tudor Rose Equines. 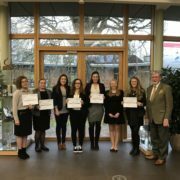 Equine undergraduates and Level 3 Diploma students attended the prestigious finale of the British flat racing season at Ascot Racecourse. 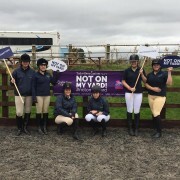 Reaseheath’s equine department is delighted to be supporting the #NotOnMyYard anti-bullying campaign. 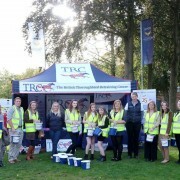 Reaseheath College equine students and staff have again been under the spotlight at the world’s most famous horse show, the Horse of the Year Show (HOYS), by providing the arena party for the sixth consecutive year. 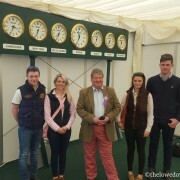 Renowned Horse Behaviourist Richard Maxwell gave audiences at Reaseheath Equestrian Centre a fascinating insight into his training methods and philosophies. 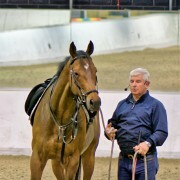 Richard, who is a qualified Masterson Method Practitioner, combines a unique blend of natural and traditional horsemanship in order to help horses and their owners. His many clients hail from all equestrian disciplines and include international event rider Sharon Hunt and dressage star Matt Frost. 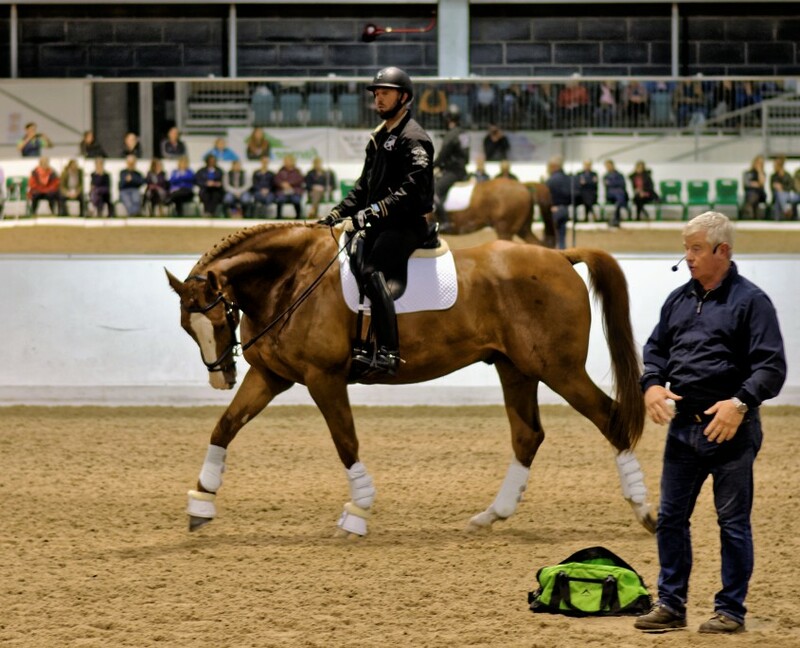 Richard began his career as a riding instructor in the Household Cavalry where his own introduction to ‘natural horsemanship’ came through a chance meeting with the legendary Monty Roberts. Richard’s holistic approach has also been inspired by experts in the field of equine physiology such as Andy Andrews and Jim Masterson – founder of the ‘Integrated Equine Performance Bodywork’ system. 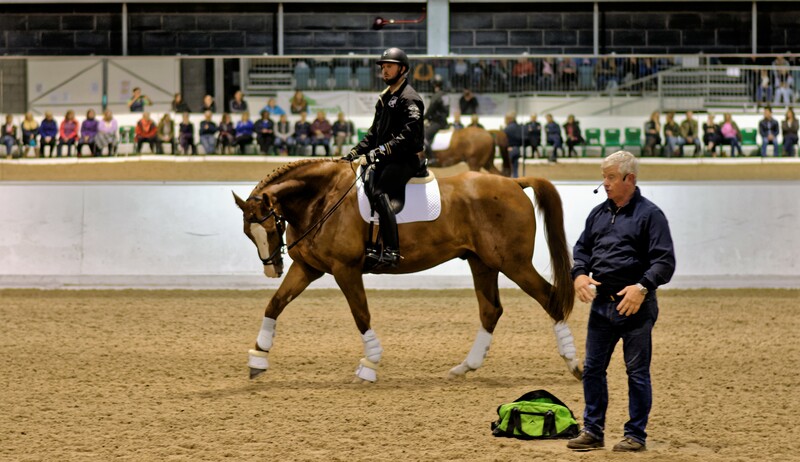 In front of a packed house, Richard worked with three very different types of horses ranging from a dressage horse with ‘stage-fright’ to a Welsh cob with loading problems. Read more about Richard’s demonstration here. BSc (Hons) Equine Science and Sports Performance undergraduates enjoyed a behind-the-scenes visit to the world famous Mitsubishi Motors Badminton Horse Trials. The students were privileged to have an ‘access-all-areas’ tour of the Media Centre – an area exclusively reserved for accredited members of the press – with Badminton’s Media Director Julian Seaman. Julian, who was also the Media Manager at Greenwich Park during the 2012 London Olympic Games, shared his expert knowledge with the students and answered their questions. 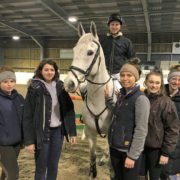 Our students were also given the opportunity to meet International Event rider Francis Whittington, who was himself competing at this elite event. 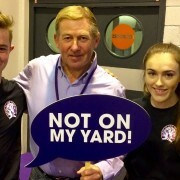 Francis, who is one of this country’s most respected event riders, offered much sound advice about forging a successful career in the horse industry. 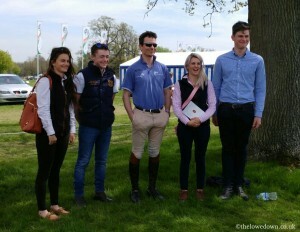 Reaseheath student Tyler Simpson, who intends to pursue a career in Eventing, said: “This trip was definitely an eye opening experience. We met some really good industry contacts and I have definitely found a path which I want to follow. Going to Badminton has given me the urge to keep working hard to achieve success in the eventing world”. The visit concluded with a guided course walk to view some of the awe-inspiring cross-country fences featured on Guiseppe Della Chiesa’s magnificent four mile course. 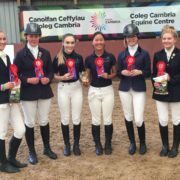 Our HE equine students will next be involved at Bolesworth International Horse Show which runs from June 15 -19.